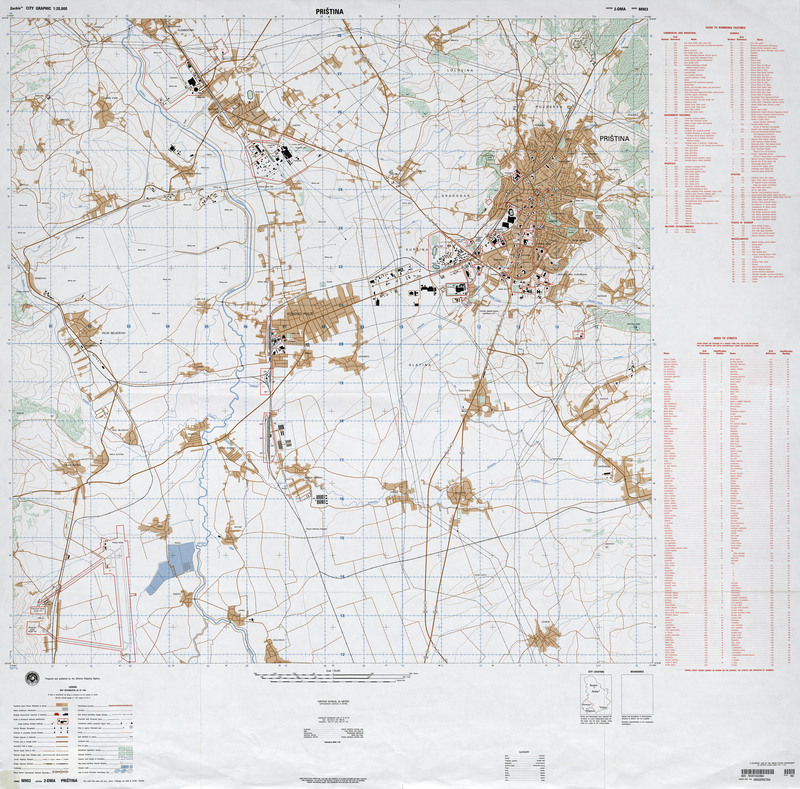 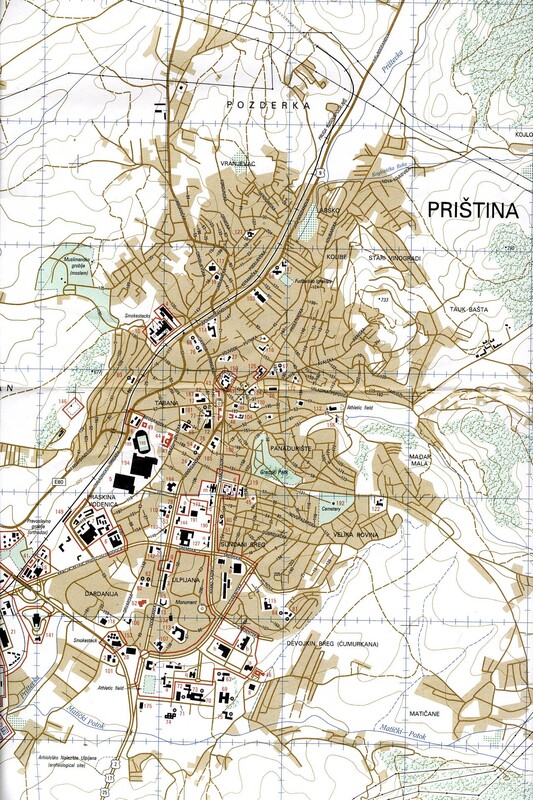 1:250,000 - Pristina, Sheet NK 34-5 U.S. Army Map Service, Corps of Engineers 1959 (8.6MB) Note: Includes most of Kosovo. 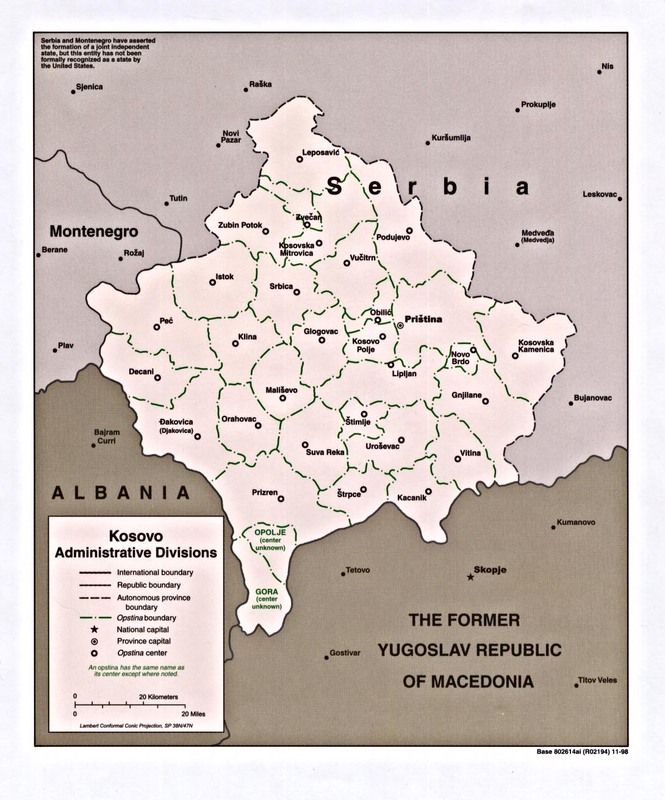 Note: The city labeled as Tetovo on this map was incorrectly named. 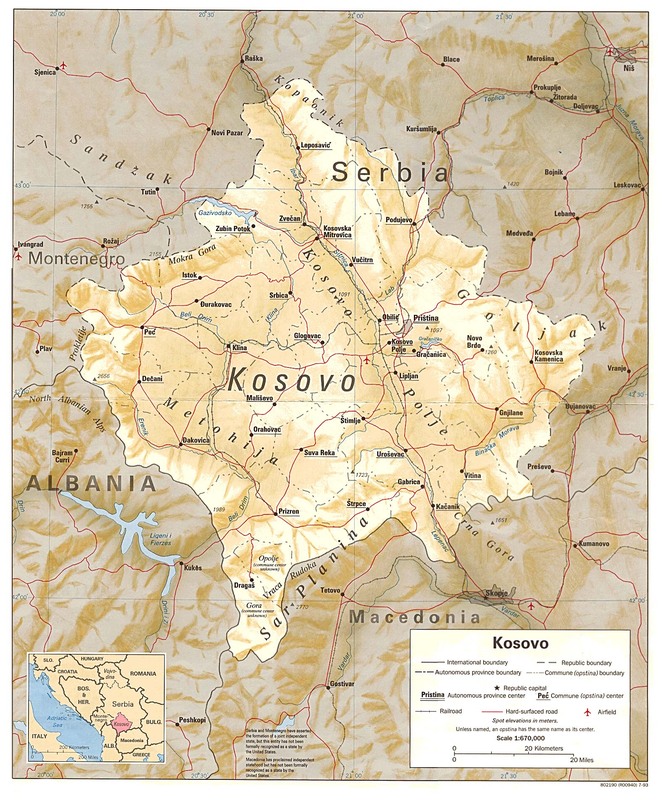 The correct name is Skopje. 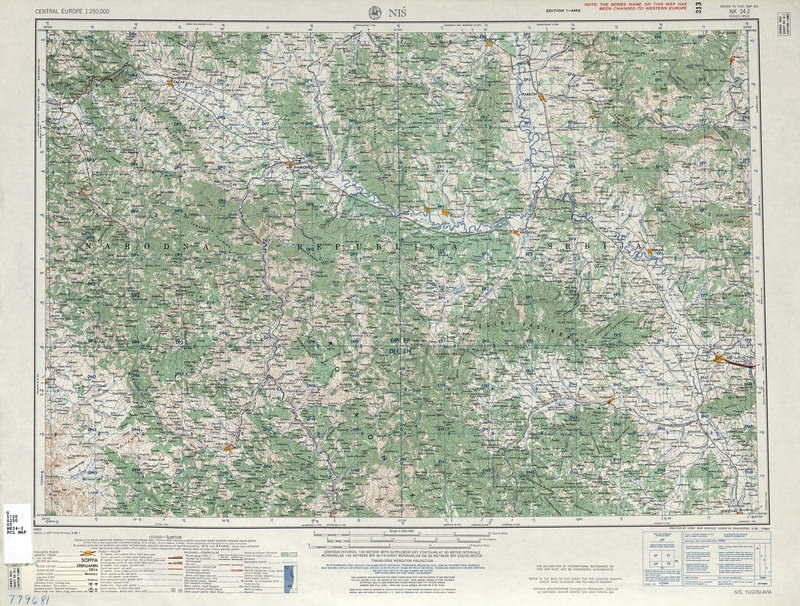 1:250,000 - Kosovo (South) 1959 Portion of Army Map Service Corps of Engineers NK 34-5 1959 (1.4MB) Note: On Kosovo (South) 1959 the city labeled Tetovo at the bottom of the map was incorrectly named. 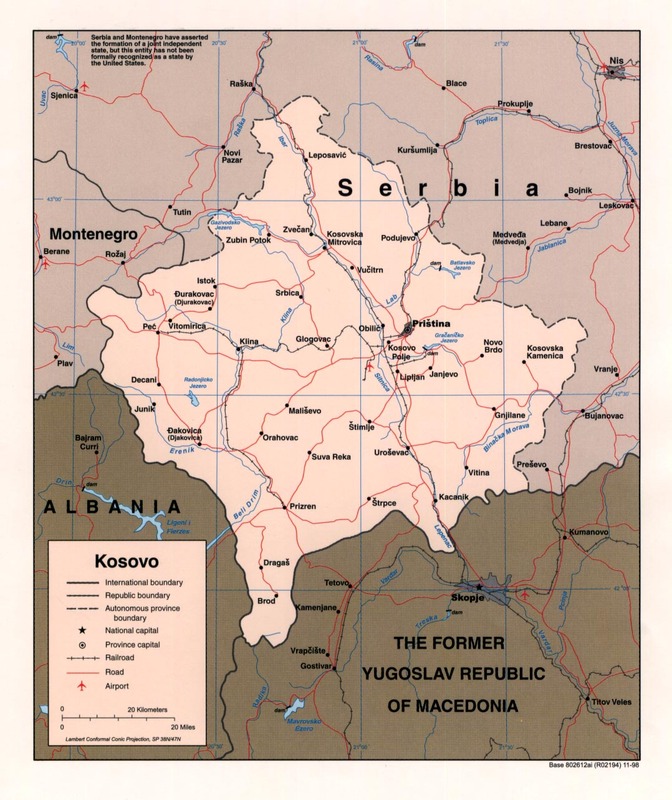 The correct name is Skopje. 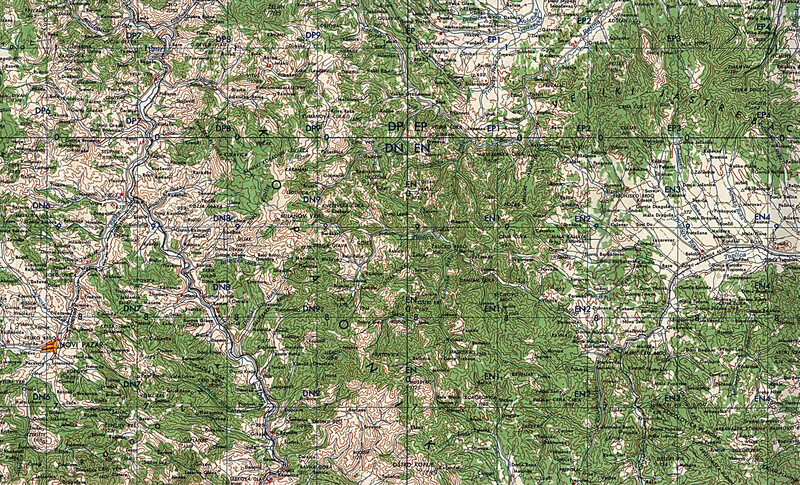 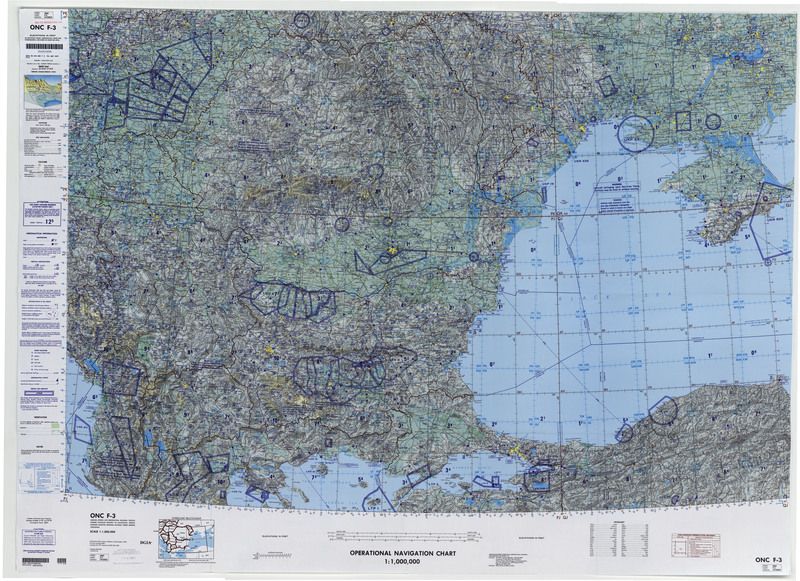 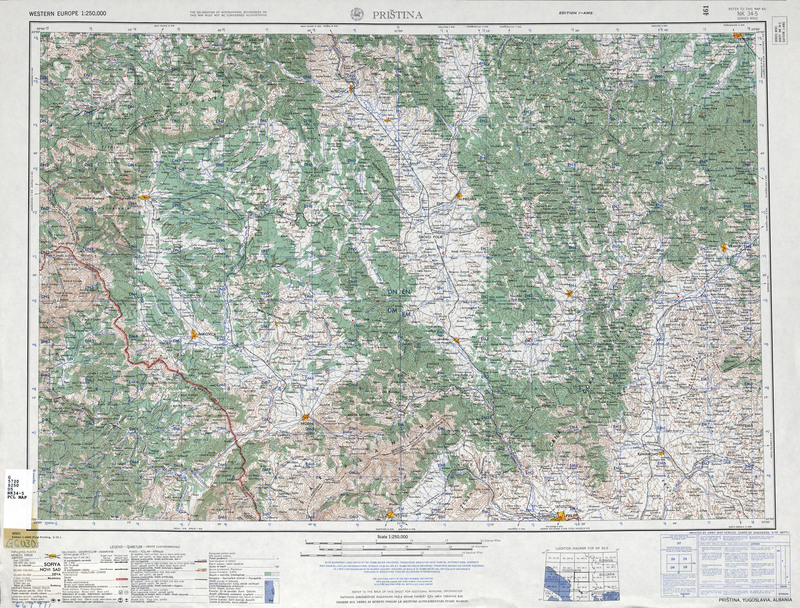 Note: The borders within Former Yugoslavia are not indicated on these topographic maps, which were published in 1959. 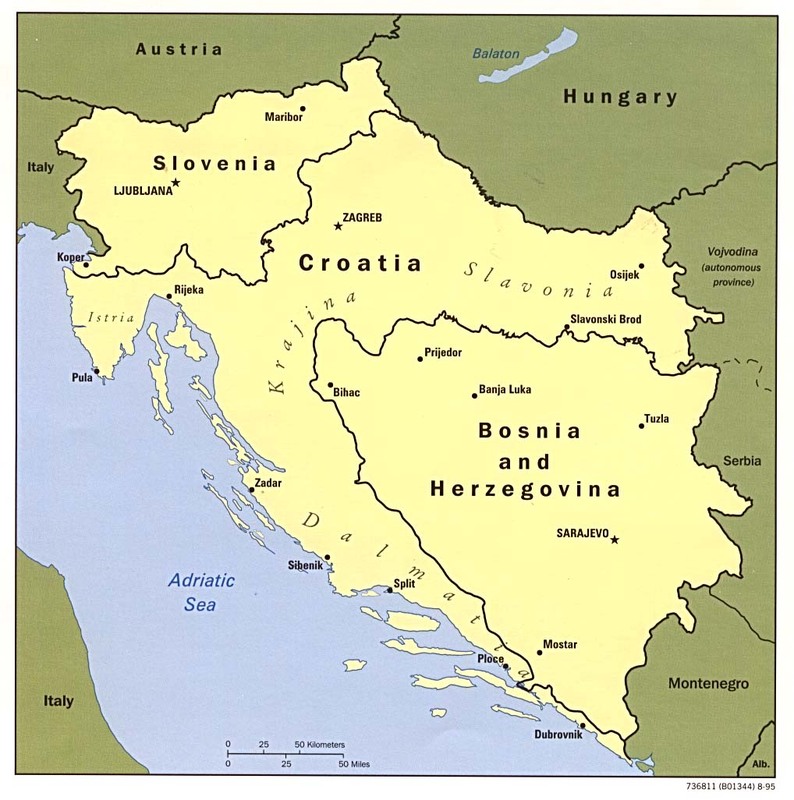 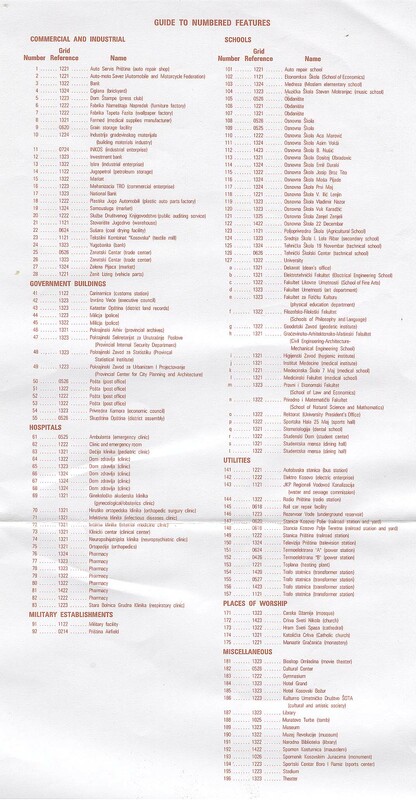 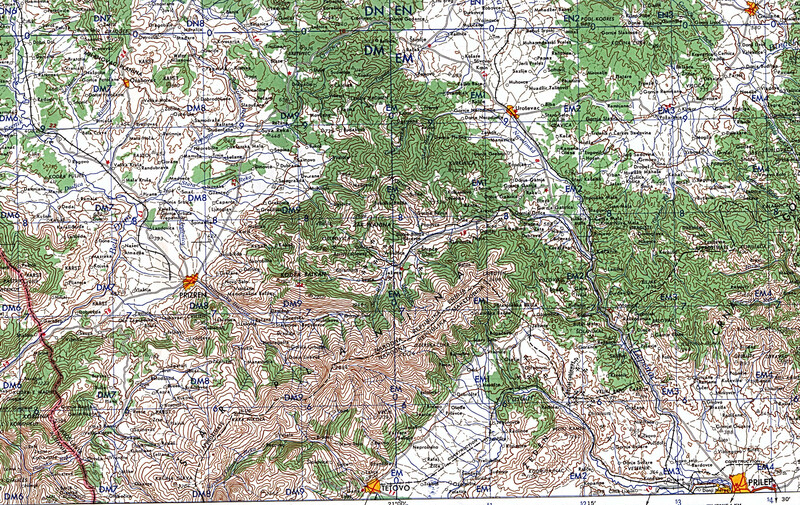 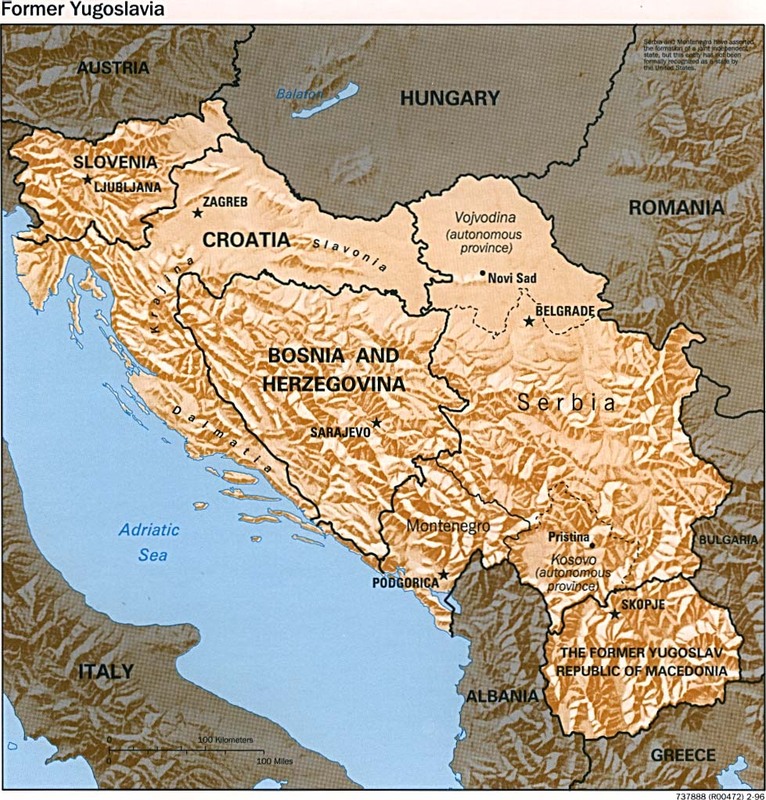 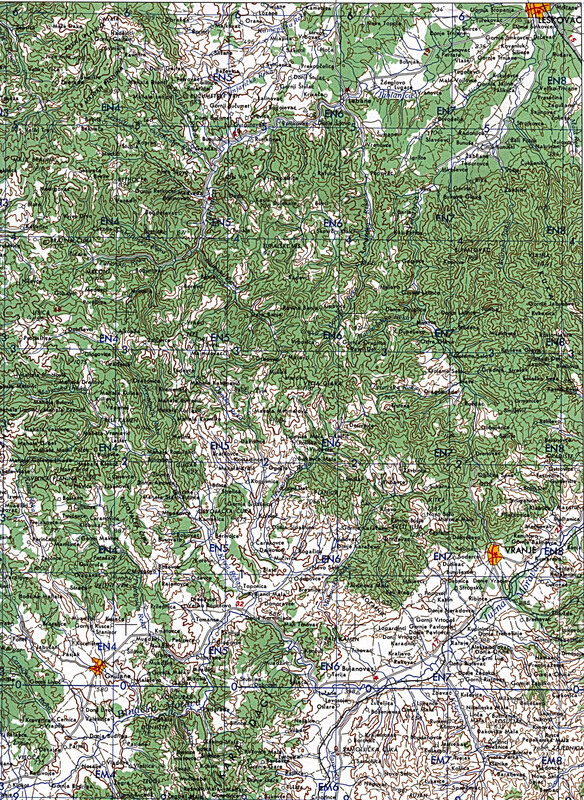 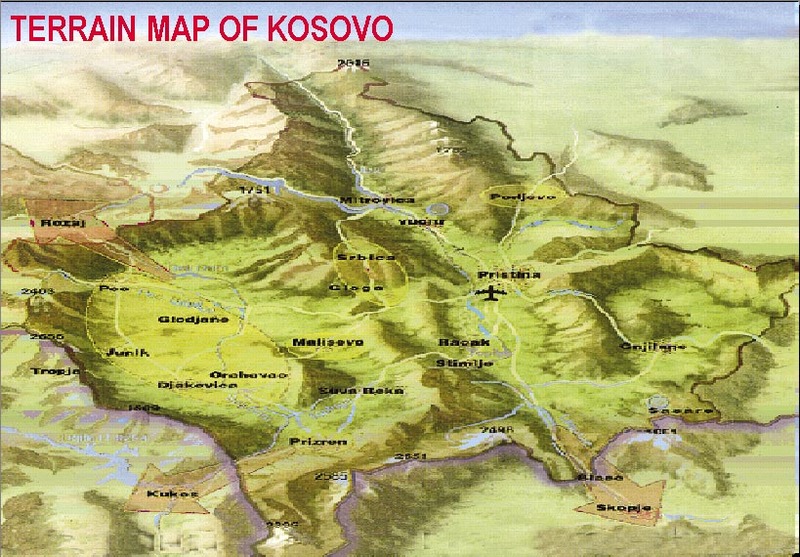 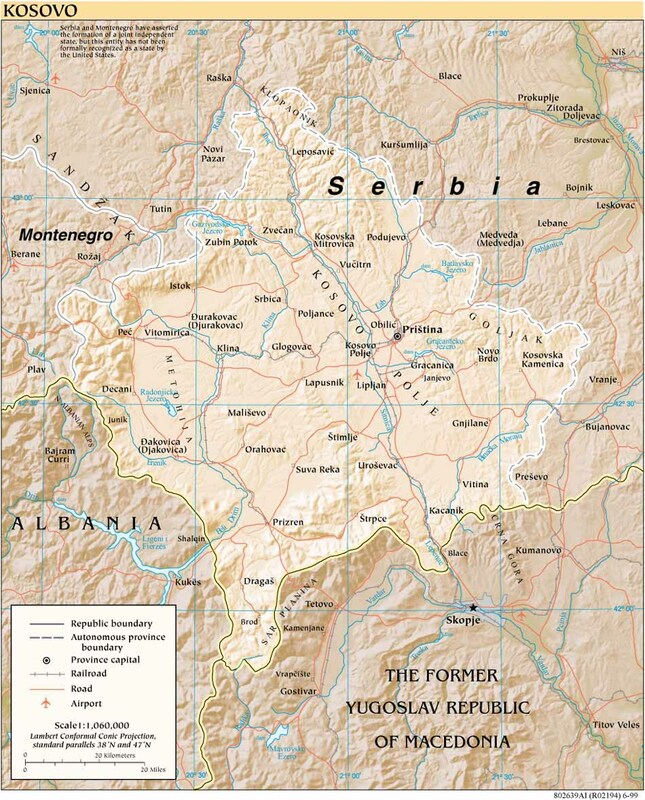 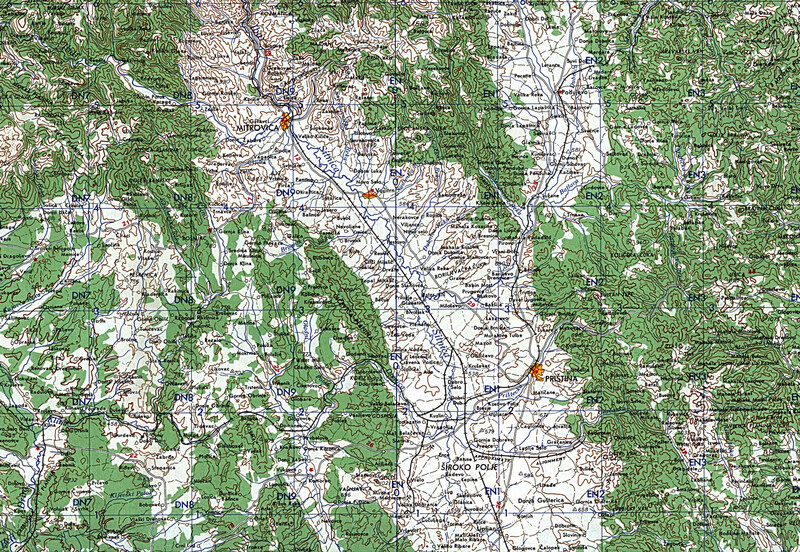 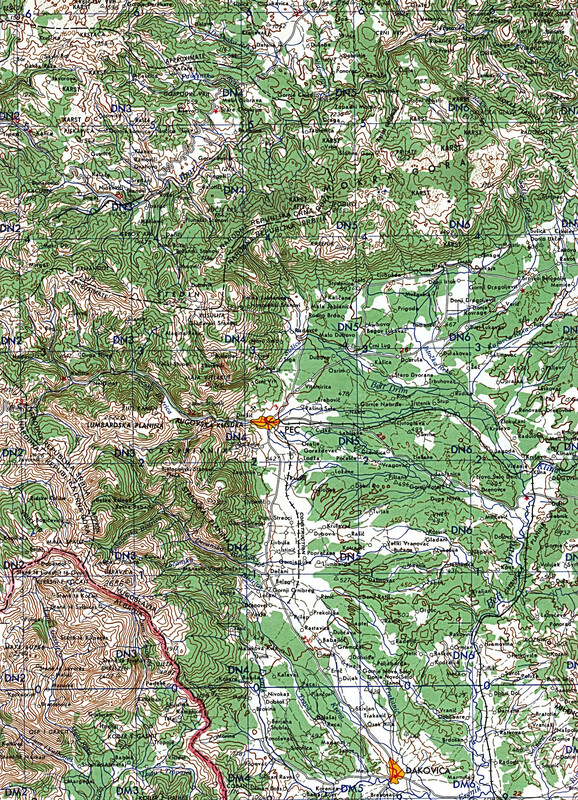 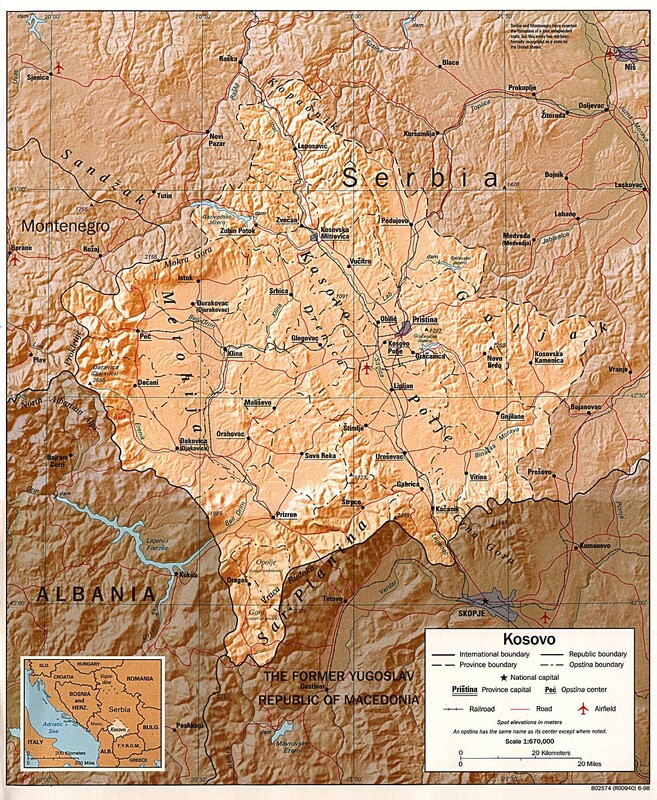 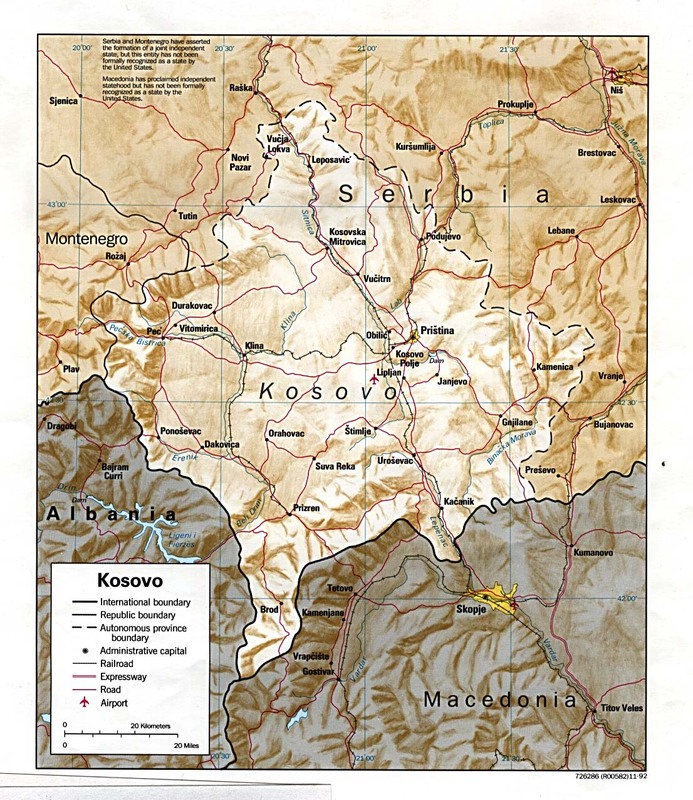 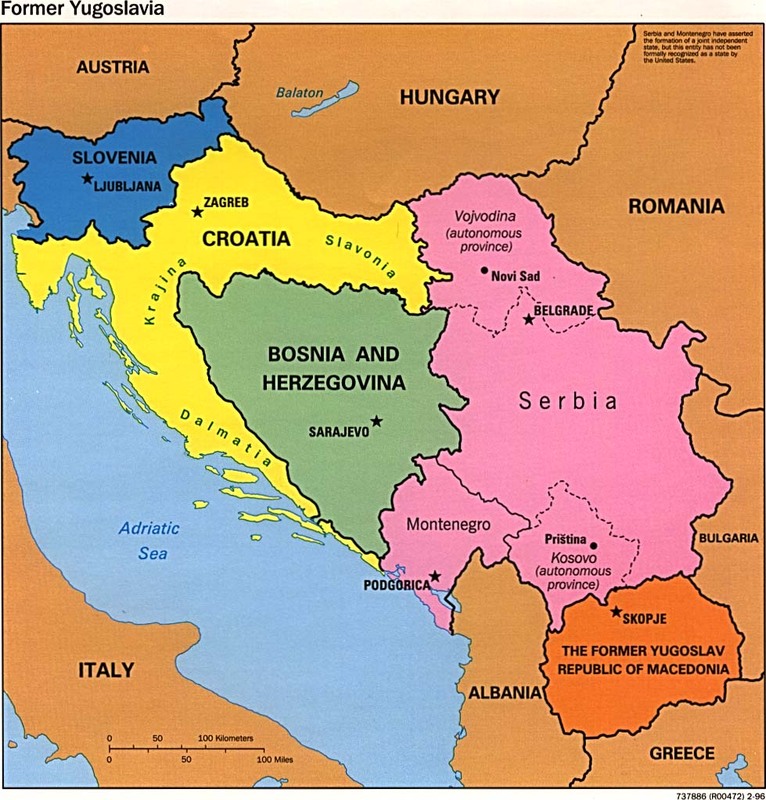 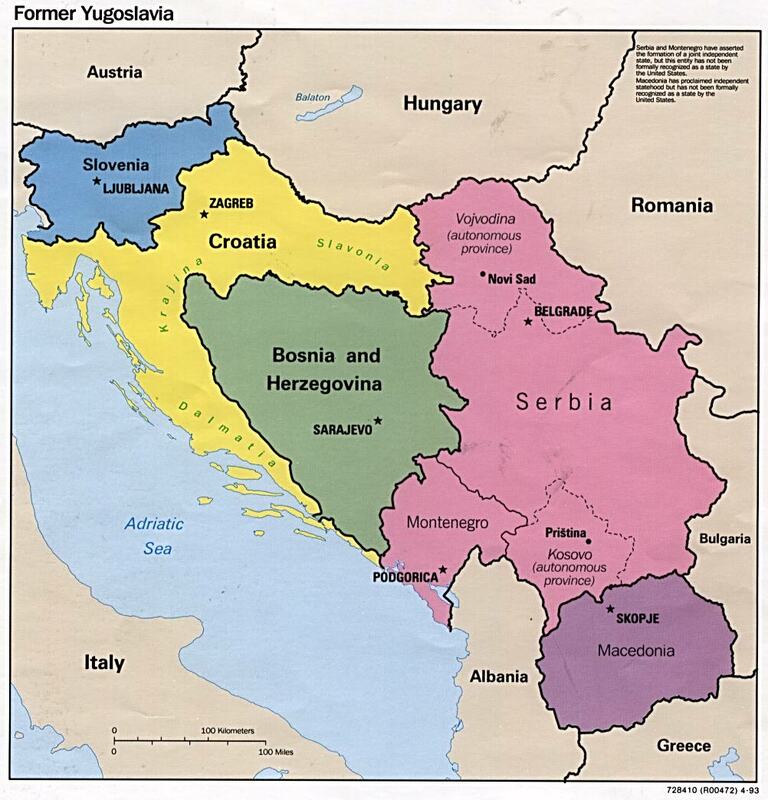 We recommend using the general maps of Kosovo at the top of this page to help in locating places on these maps.